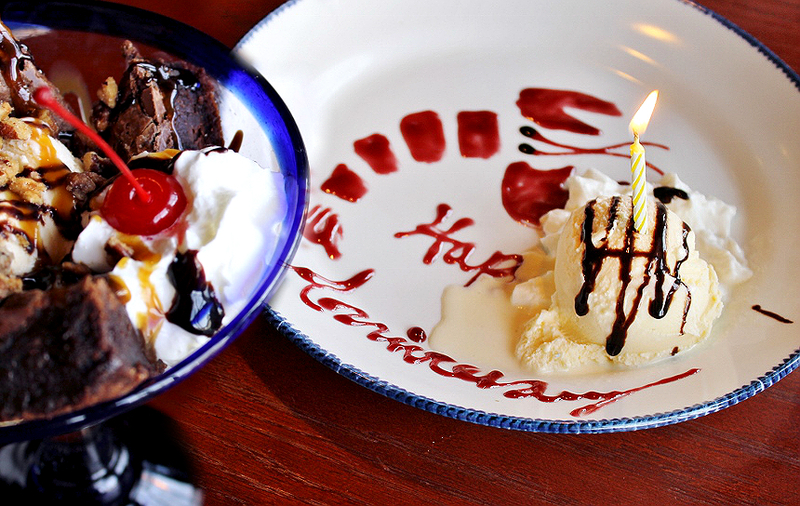 When it comes to dining and special occasions it's no secret I'm a little partial to Red Lobster. Not only have I been patronizing our local establishment for over 15 years, but my father and I have a running dad/daughter monthly meal tradition where numerous memories have been made. We go there for the delicious sea to table seafood, amazing staff that treats us like family, and of course for the annual events featuring specialty menus, cocktails, and more. As the chain celebrates it's 50th year in business this year's Lobsterfest® is a must attend no-exception. You may recall, last year, I took my father to Lobsterfest much to Jay's dismay. It's time I confess that, while Jay and I have dined at Red Lobster many times over the course of our 7 year relationship it's always been my father and I dining solo for Lobsterfest®. It's simply been one of those traditions that have been hard to break- but this year I finally heard my man's pleas and caved in. 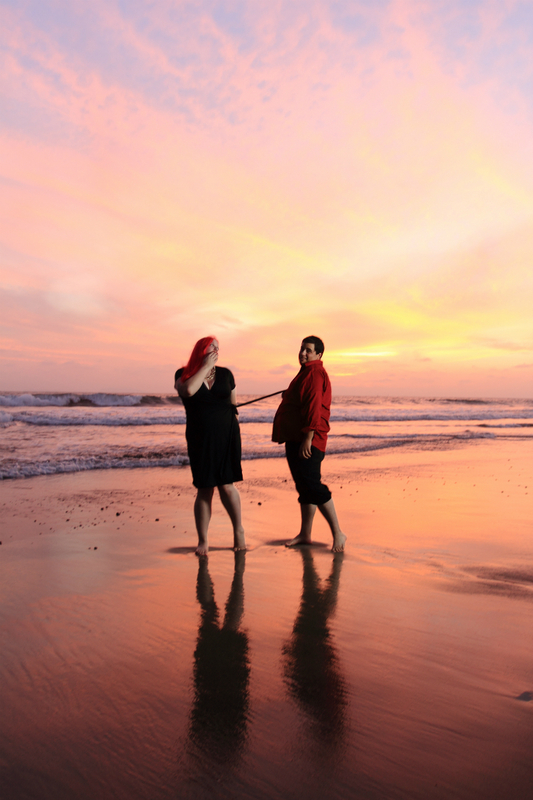 For our 7th anniversary we would enjoy Lobsterfest® together! It's quite appropriate when you consider shortly after we began dating Jay actually bought a 'lobster shirt' simply as a nod to my slight lobster obsession. (Check out last year's 2017 Lobsterfest® and Crabfest® posts to learn more about my obsession with lobsters beyond a food, as an icon.) It's a beloved shirt that he still owns, and wears for special occasions, and Red Lobster visits today. 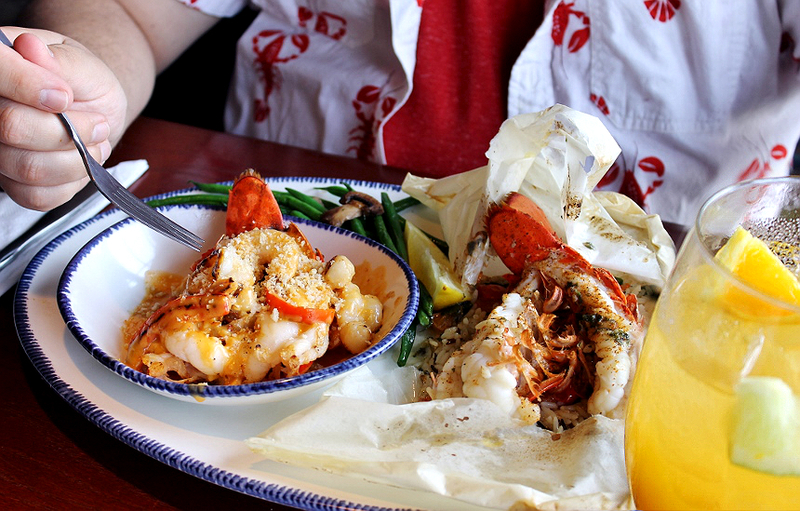 What exactly is Lobsterfest®, and how does a place called Red Lobster manage to make it's lobster menu even more appealing than it already is? 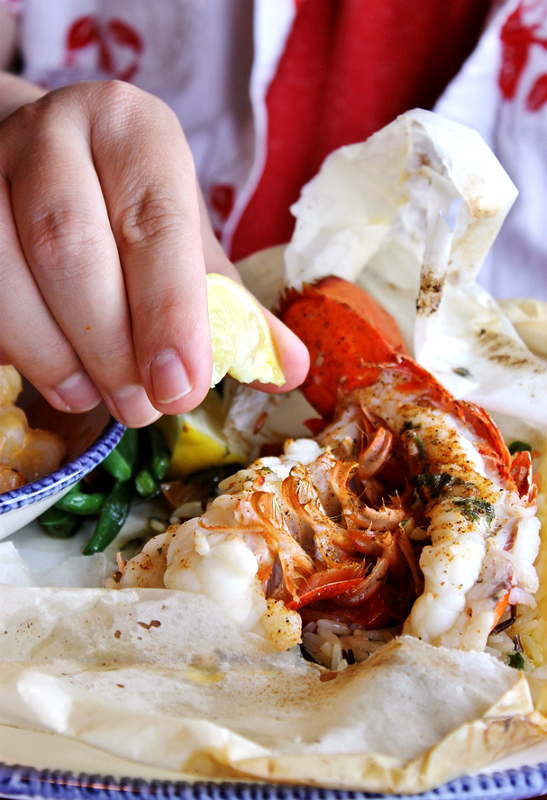 Lobsterfest® is an annual event, around for a limited time, which features 9 new and classic lobster dishes featuring succulent lobster prepared in a variety ways such as steamed, baked, grilled, roasted, chilled, and more! 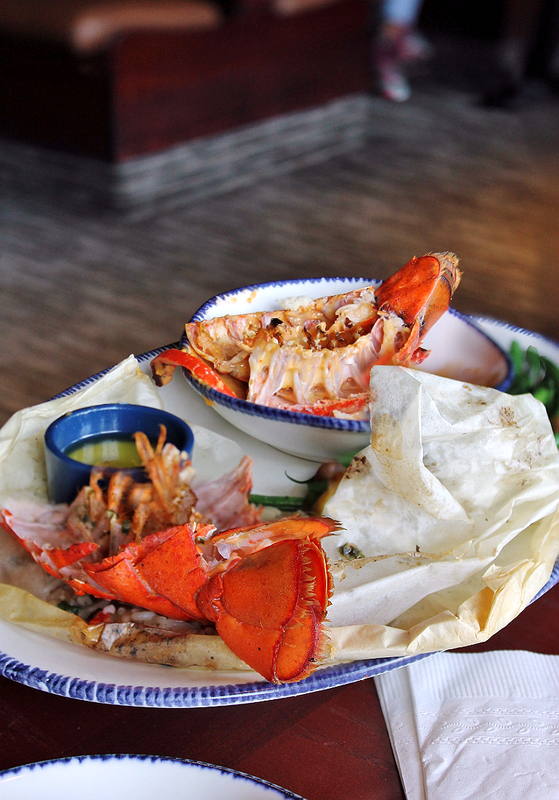 It's literally the biggest selection of lobster dishes, all year- a true lobster lover's dream! 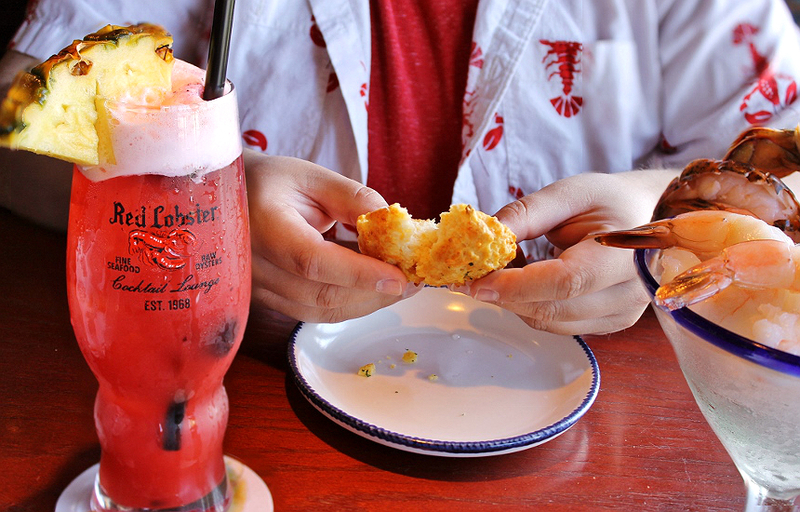 Of course we knew the moment Lobsterfest® arrived in town, thanks to our Red Lobster Rewards app- the coolest insider club for Red Lobster VIPS. 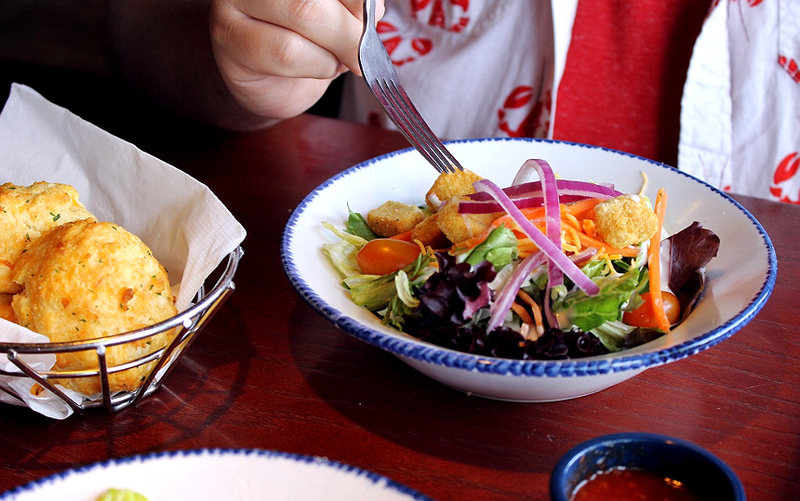 When you join the Red Lobster Rewards program you'll qualify for special deals on new promotional items, free appetizers and desserts, and earn points towards delicious seafood with every dollar you spend! You can also browse the chain's current specials and offerings right from your phone, so you can plan your next date night anytime! 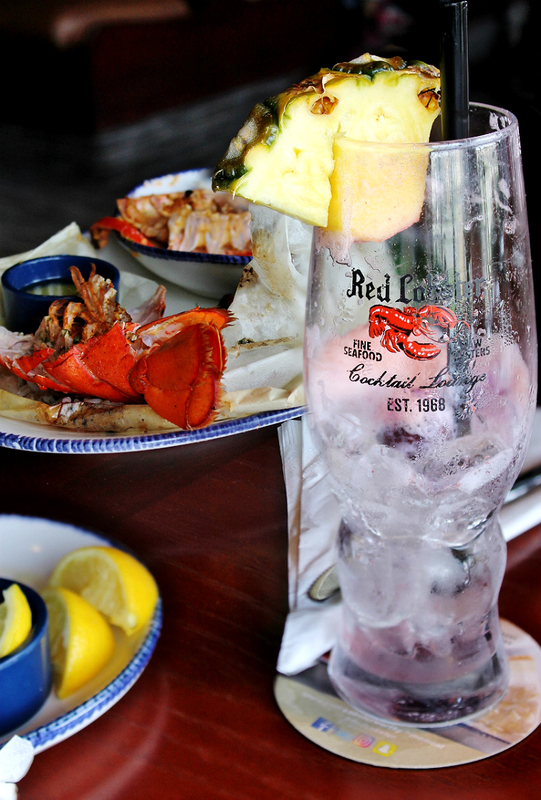 Not only was the Lobster Lover's Punch a delightful sweet and tangy companion to our Lobsterfest® selections, I was thrilled to take home that beautifully detailed 50th Anniversary Collectible glass to add to my personal collection of Red Lobster glassware. 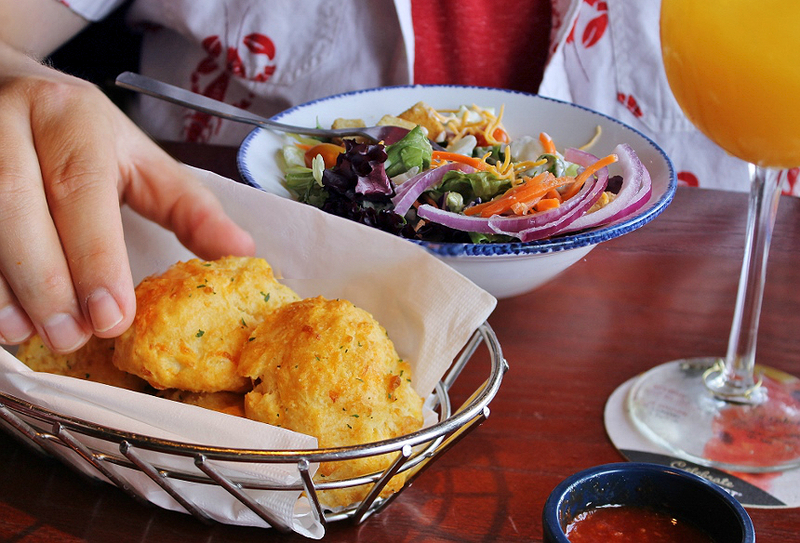 I promise to dish what we ordered of that amazing 9 item Lobsterfest® menu- but can we first take a moment to drool over those classic Red Lobster Cheddar Bay Biscuits? These babies arrive swaddled, warm and fresh baked, to your table with every meal- and the basket always seems to magically keep refilling itself. Our local servers do an amazing job making sure we never have down time with those crumb filled appetizer plates and bites of fluffy cheddary goodness. Those we have been serving my dad and I for years even offer to pet a few of these golden biscuits in a doggy bag for us before we go- now that's family service! 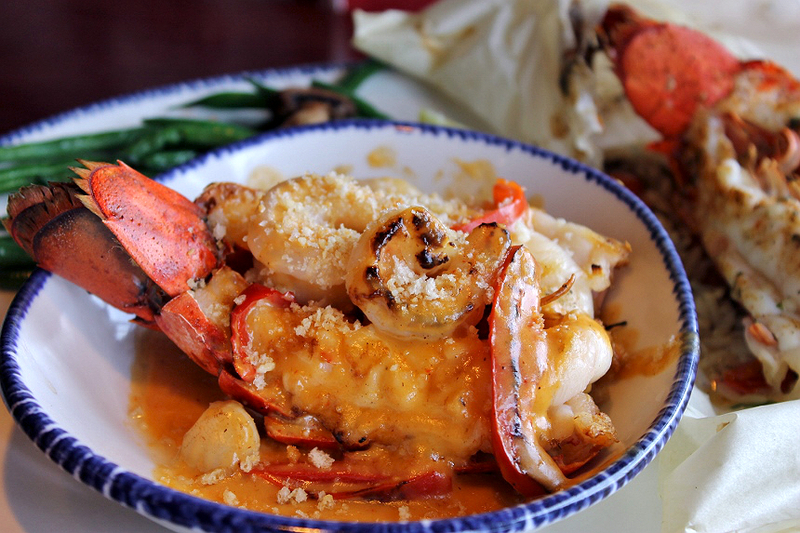 But back to that impressive lobster filled specialty menu being featured at this year's Lobsterfest® event- the NEW! Chilled Lobster and Shrimp Cocktail is back again this year. 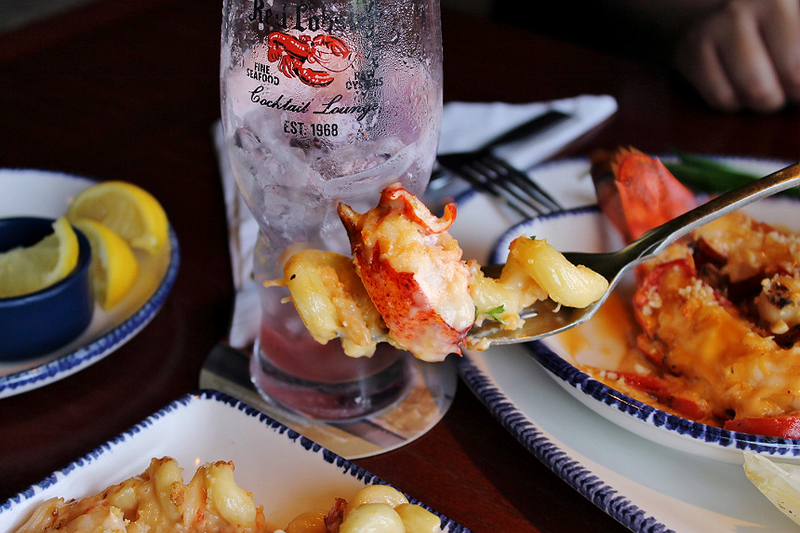 We first saw it hit the Lobsterfest® menu in 2017, and became instantly hooked on that oversized glass of chilled split petite Maine lobster tails and jumbo shrimp served with Red Lobster’s signature cocktail sauce. 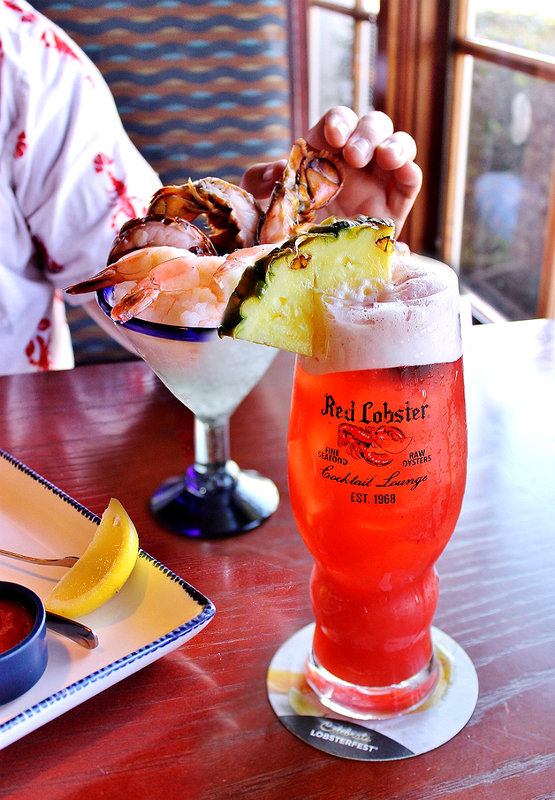 This appetizer goes beyond your typical shrimp cocktail- it's the king of cocktails with a real wow factor presentation that truly every seafood lover needs to kick off their Lobsterfest® experience. In fact it's easily one of the clearest examples of flavor and quality in the Sea To Table commitment shining through. To learn more about lobster sustainability from some of the trusted fishermen who’ve provided lobster to Red Lobster for generations, check out the video at the bottom of our post. 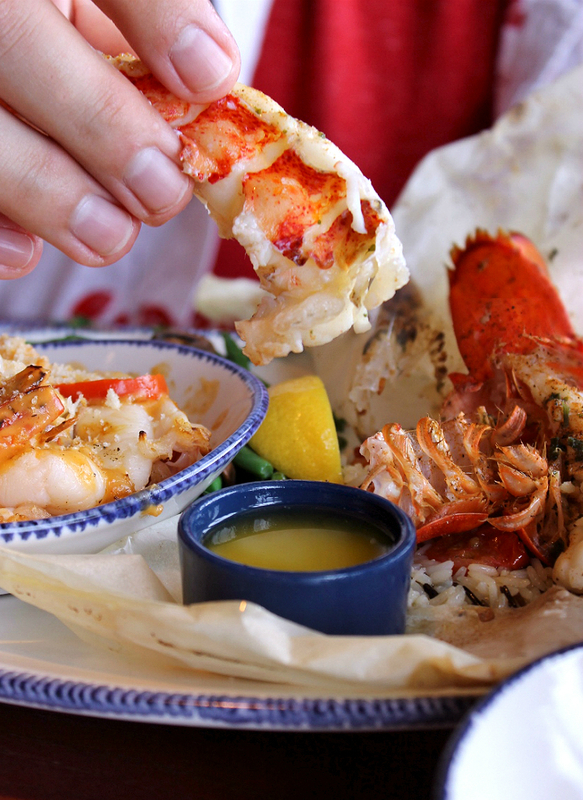 Just because it's Lobsterfest® doesn't mean Red Lobster is skimping on all the classic elements that male dining at Red Lobster a treat. Jay and I talked about our memories of anniversaries past as we enjoyed beautifully prepared dinner salads and more of those famous Cheddar Bay Biscuits. It didn't hurt that our server just so happened to drop a fresh, warm, basket of them at our table as she delivered our salads. 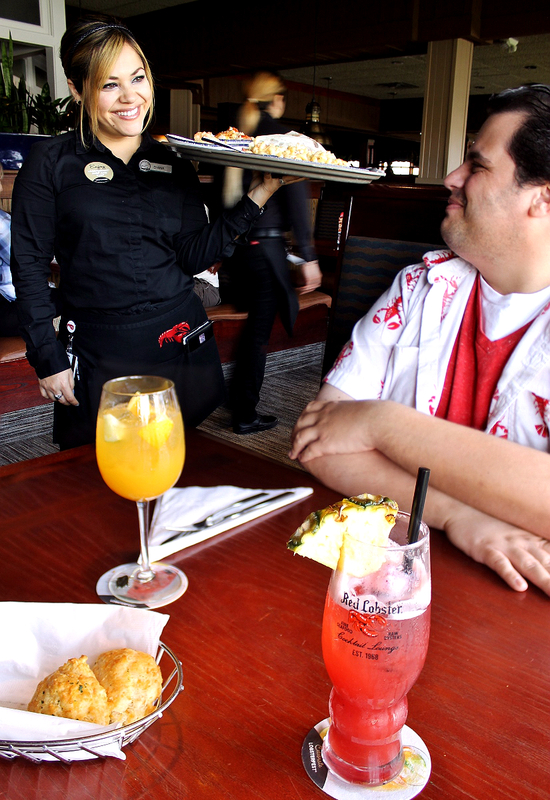 Speaking of servers- I'd be lying if I said the staff at my local Red Lobster didn't rock- we've known the manager, as customers, for over 15 years, and some of the servers and waitstaff almost as long. 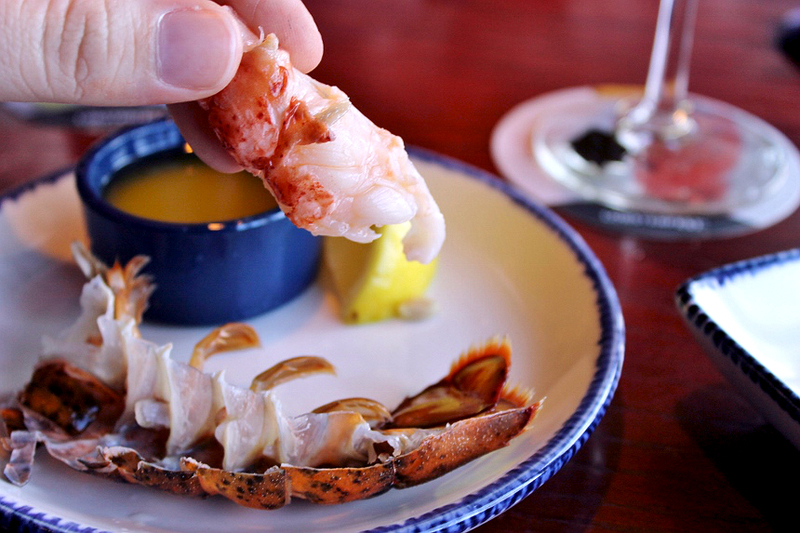 You may recall seeing Diana in our feature from last year's Lobsterfest® visit. Back then she was just starting out working with our local restaurant, and we were tickled to see such a friendly face still around a year later. 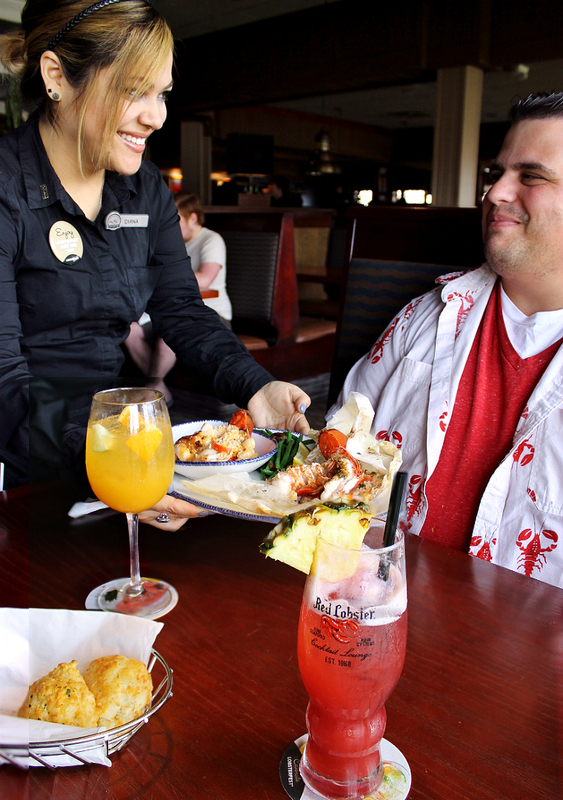 I've noticed, through the years, the staff tends to get a little like family at Red Lobster- as regulars we return month after month, year after year to see the same faces. That's excellent from a service perspective- because our co-server Claudia has been with the chain for years and served us on many occasions. Claudia even had a laugh and asked how my father was, and why he wasn't joining me this year; which is when she learned about our anniversary and promised to make it extra special. Either I've made a big impression in the past, or Claudia is a fabulous server (I like to think it's both) but Claudia went on to remind me that she recalled our talk from a few visits back about my lobster collection. Apparently she'd thought of me recently when a family friend gave her a lobster themed gift as a nod to her employment location. Between Claudia and Diana we were truly getting 4-star service; attentive serving yet also a perfectly timed meal that allowed Jay and I to reminisce while savoring our Lobsterfest® selections. 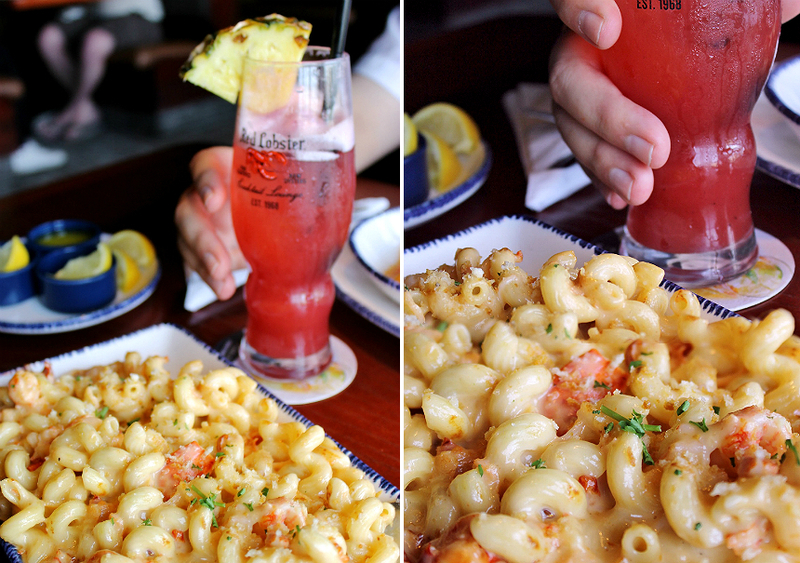 So what did Jay order after 7 years of Lobsterfest® anticipation? He went all out with the NEW! Dueling Lobster Tails™ featuring Maine lobster tail steamed in parchment paper with fresh herbs, tomatoes and lemon, paired with a grilled Maine lobster tail topped with shrimp, bay scallops and roasted bell peppers in a rich sherry lobster cream. All this served with that delicious side garden salad from earlier and a choice of side (he went with seasonal vegetables.) This was one amazing sight to behold as our server, Diana, literally parted the parchment paper his Main lobster tail had been steamed in, table-side. Discussing our meal on the drive home we couldn't quite play favorites when it came to the Dueling Lobster Tails™ the parchment steamed tail was robust in flavor, and the perfect tender flavor when paired with a squirt of fresh lemon juice and dipped in rendered butter. It was the thing of a lobster lover's dreams, truly. However that sherry lobster cream topping, brimming with baby scallops and plump shrimp was the perfect companion for my Tropical White Sangria. I honestly couldn't choose between the two, and I am so glad we didn't have to! Another thing I really love about enjoying Lobsterfest® is the easy of consumption for these brilliantly crafted lobster concoctions. While each Lobsterfest® dish is expertly crafted and perfectly paired for flavor, texture, and harmony these feasts for the eyes are not a chore to consume. When lobster of this quality is prepared so perfectly you can eat effortlessly. Our lobster peeled right from their bright red tails for plump, whole, lobster meat that truly added to the special dining experience. Of course, if you're a little less of a lobster connoisseur, and favor a more playful presentation then Lobsterfest®'s NEW! 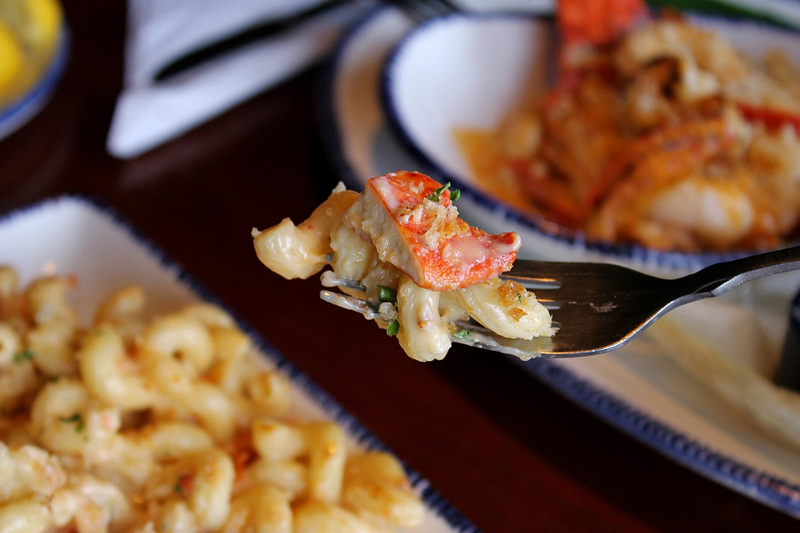 Lobster Truffle Mac & Cheese is an elevated way to pair a childhood favorite with very mature ingredients. This entree features Maine and langostino lobster tossed with cavatappi pasta in a cheesy truffle lobster cream, topped with toasted Parmesan panko crumb. Make no mistake, this is an entree, and appropriately sized with absolutely no skimping on the generous portions of langostino lobster. Nearly every bite featured yet another helping of hearty lobster. This dish made me think of my grandmother in Massachusetts, and how jealous she (a New England native) would be of my cheesy seafood feast. 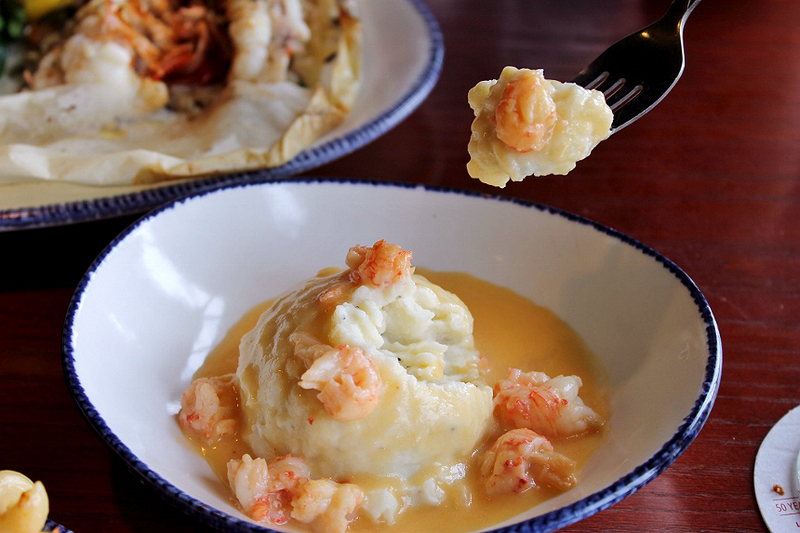 Last, but not least, for our entree portion of the meal we simply couldn't pass up on the opportunity to add on a side of Red Lobster's signature creamy mashed potatoes topped with longostino lobster in that sherry lobster cream sauce. 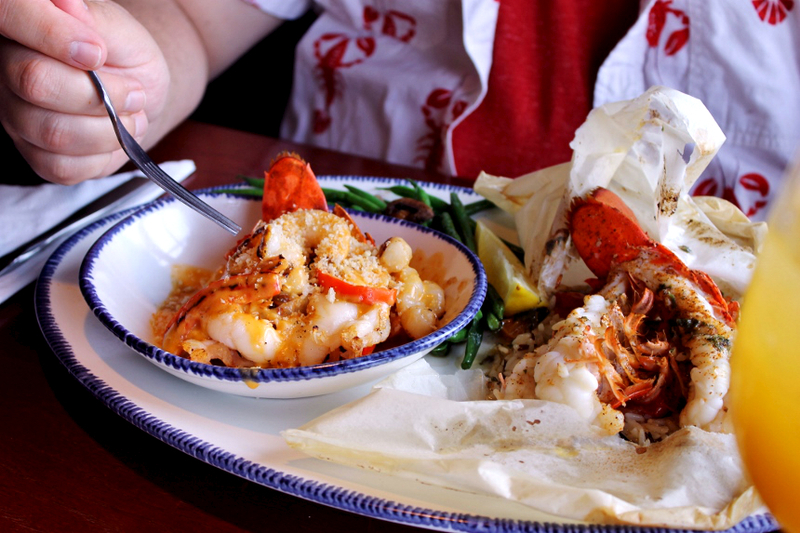 It was the perfect little upgrade to our meal, and I highly suggest upgrading your side item, or adding this onto your Lobsterfest® entree of choice, because this treat won't be around for long! As our meal wrapped I was a bit in awe of how even our empty plates looked like a culinary work of art. It felt as though we'd enjoyed course after course of specially tailored seafood. 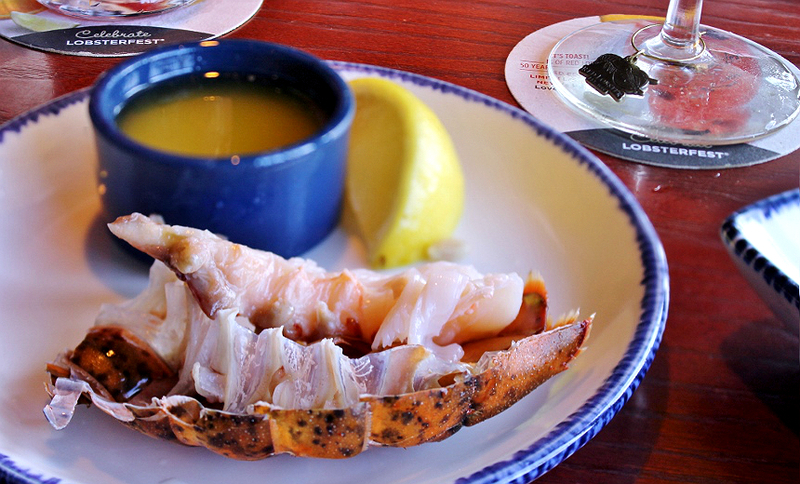 It had been a journey of flavors and textures marked by quality lobster of several varieties. 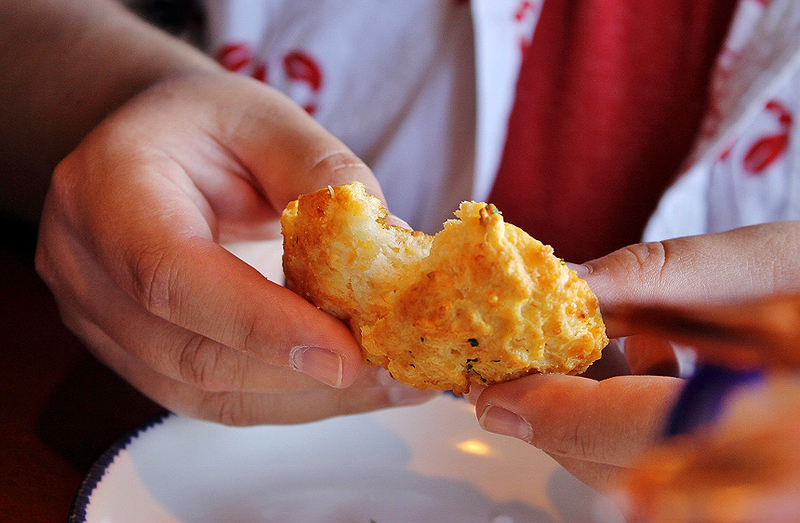 And did I mention those Cheddar Bay Biscuits? It might sound a bit silly to make plans to go to a restaurant we're practically regulars at for our Anniversary dinner- but we wouldn't have it any other way. 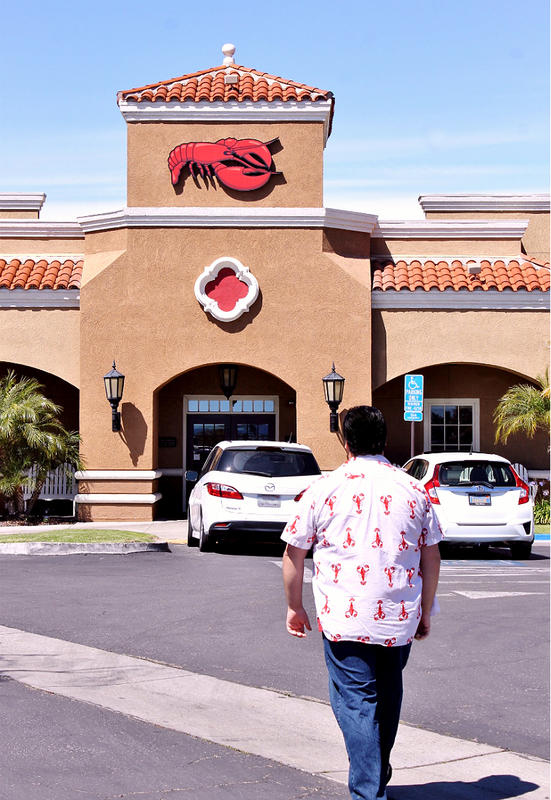 When the timing for this year's Lobsterfest® lined up with the date we just knew there was no place we'd rather trust the special occasion to than our friends at the Oxnard, California Red Lobster. Just to illustrate my point- Take a look at this little "extra" our server Claudia brought to our table at the end of our meal. 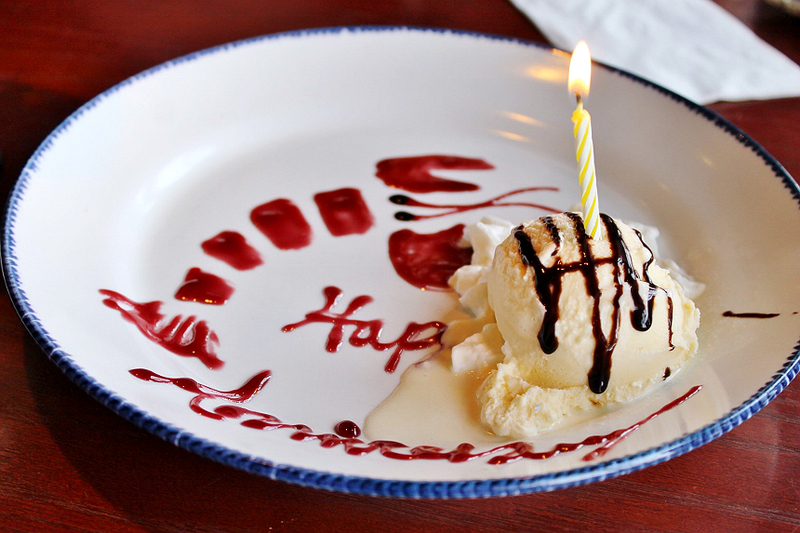 As she placed the hand 'drawn' plate down, complete with it's magical flickering candle, she remarked how she hoped that we'd make Lobsterfest® a new anniversary tradition, and how she appreciated us choosing to celebrate our day with them. As a lobster fanatic I can't lie- this put a huge smile on my face and was definitely something I had to share with friends and family when talking about our special day. It was too cute, not to! And, because I didn't know our server had planned such a thoughtful treat, and also because, hello, chocolate, we also had ordered the Brownie Overboard sundae to finish our meal. Any date night is not complete without chocolate, in my opinion- but the Vanilla Bean Cheesecake is also phenomenal and a perfect Lobsterfest® pairing if chocolate isn't your thing. 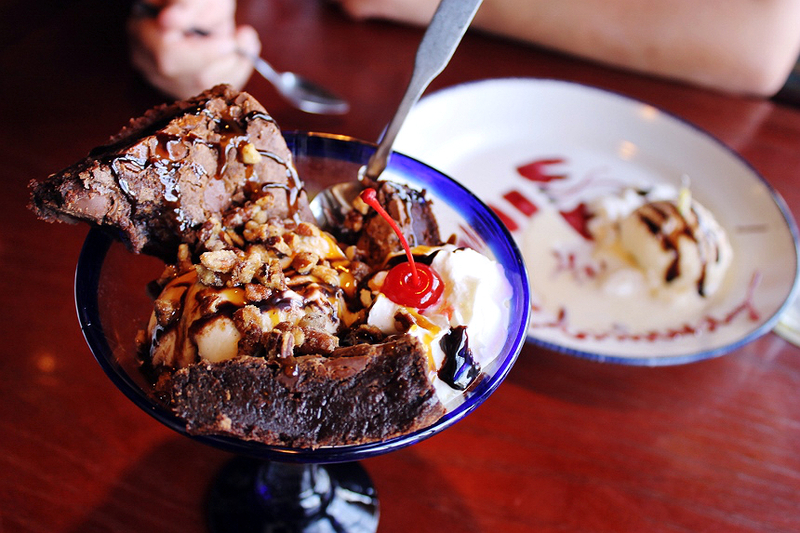 This bad boy sundae is big enough for 2, 3, or even 4 to share and our servers always bring the appropriate number of spoons per guest to encourage it. 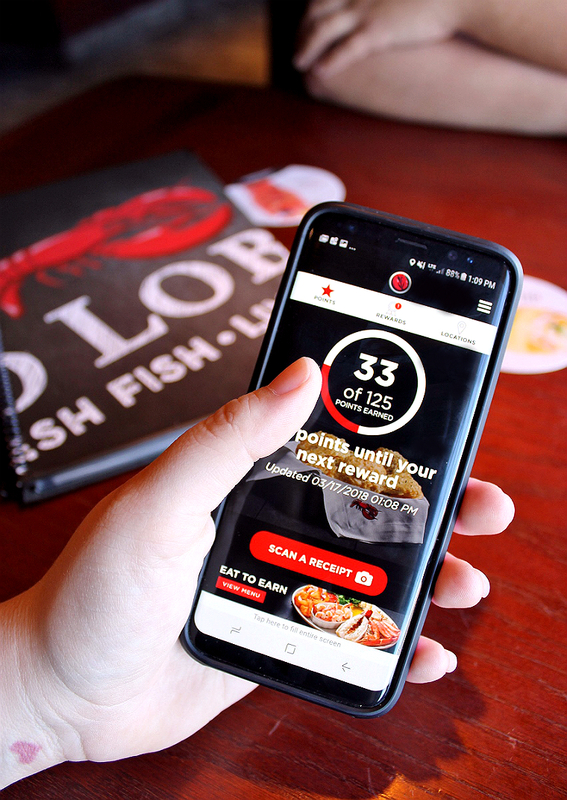 As we finished those last delicious bites, and worked out a generous tip for our fab servers Claudia and Diana, I also tabbed over to my Red Lobster Rewards app to give my receipt barcode a quick scan for those points. 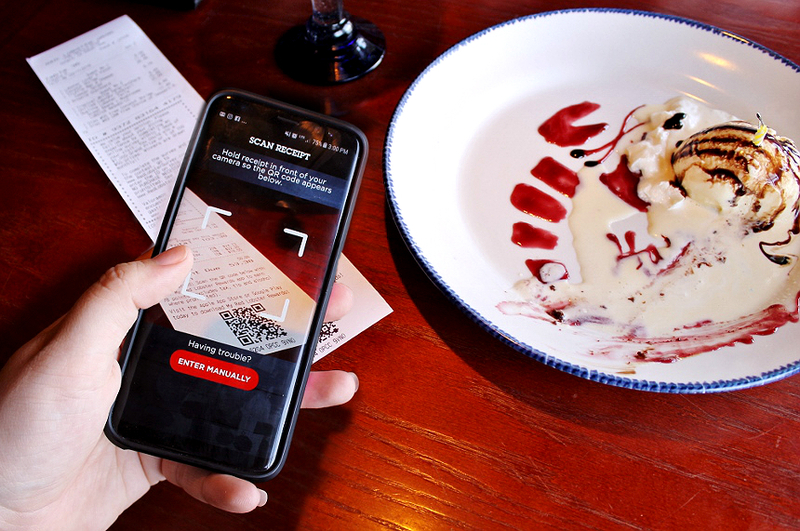 I'd already earned several free desserts and appetizers in the rewards program, and claiming points couldn't be any easier with the simple barcode scan feature so there's no excuse not to download the app before your next Lobsterfest® visit. Remember, Lobsterfest® is only around for a limited time, and nobody really knows when it will be gone, so hurry in soon so you don't miss out! 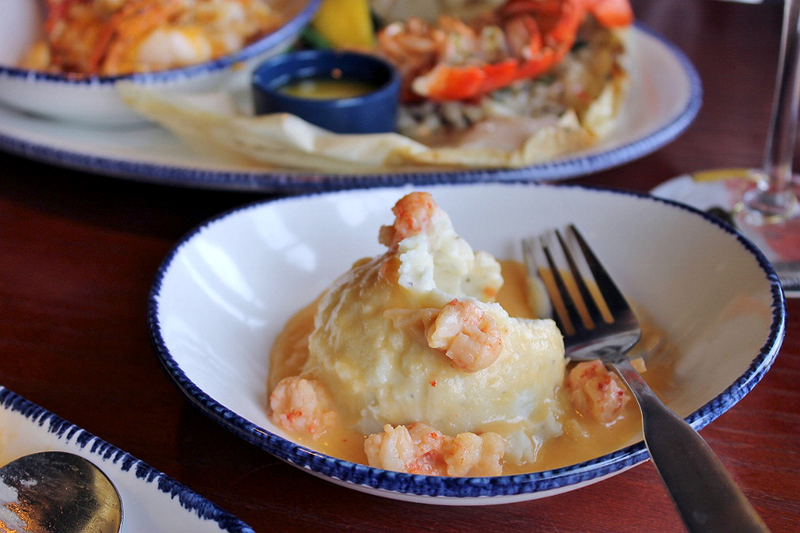 To stay up to date with Red Lobster events and specials be sure to follow the brand on Facebook, Twitter, and Instagram. To learn more about lobster sustainability from some of the trusted fishermen who’ve provided lobster to Red Lobster for generations, please check out the video below. 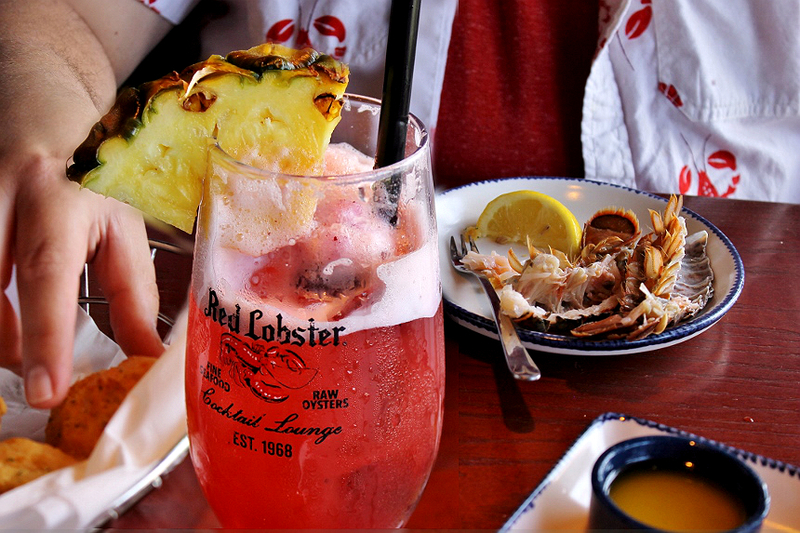 Date night is always better with Red Lobster. My husband and I go there for every one of ours, and it never gets old. We just joined their rewards program, too! That looks like an anniversary dinner par excellance. 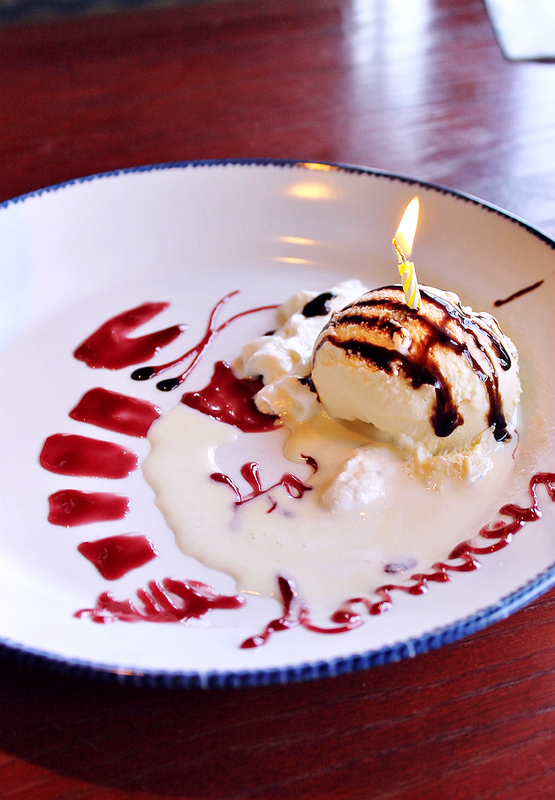 The dishes, drinks and desserts are so good it is hard to believe this is a chain. Now that looks like an anniversary dinner! You know you should've gone with your father once and then your husband another time. Then you get to go twice and enjoy the lobster fast! Those cheddar rolls bring me in all by themselves. They are so good along with all the food there. 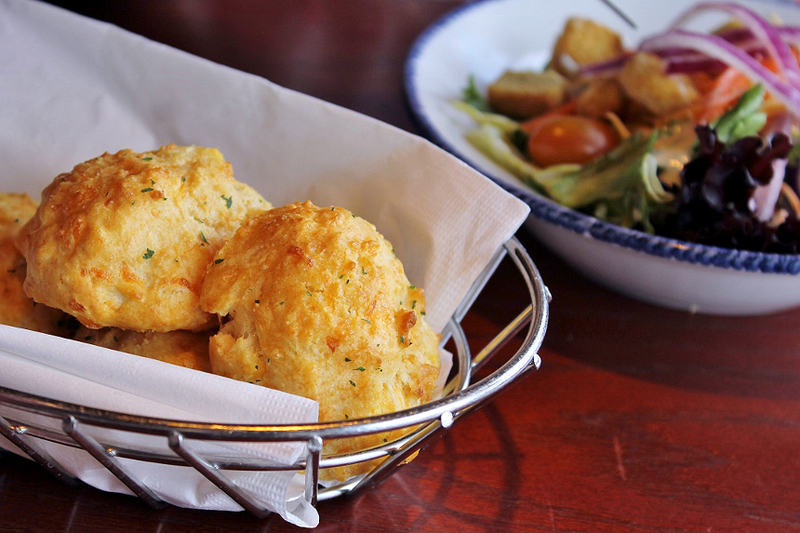 We haven't been to Red Lobster in a long time (we don't have one by where we live) but I love some cheddar biscuits! Looks like you had a great time & that lobster shirt is AWESOME! Ok, you have sold me! These are some gorgeous shots of some of my favorite foods!! I am not a fan of seafood at all, but some of this food looks amazing. I do love the biscuits there. They're so good! That dessert looks really good too. Loved your pictures! The food looks amazing! I am a huge seafood lover! My husband would love to visit here for sure! He loves seafood especially lobsters!! 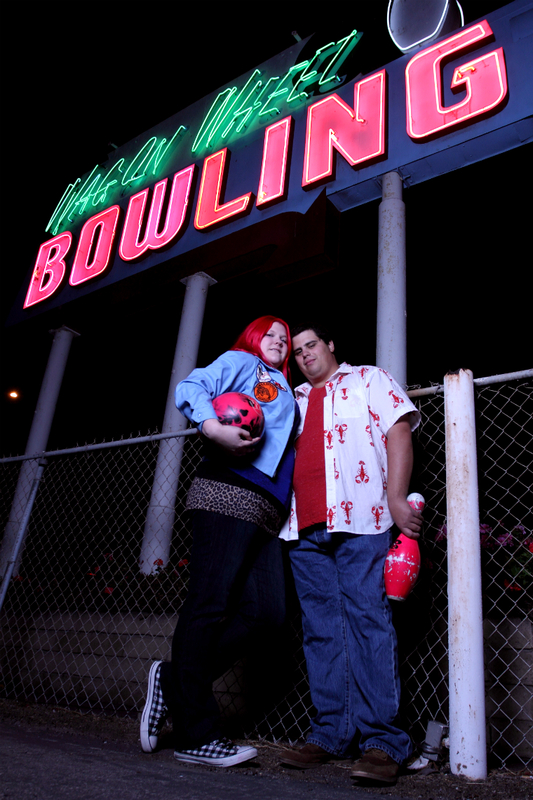 What a fun date night! The food looks delicious! My kids always love dining here - cheddar biscuits! We are big Red Lobster fans. Of course, who doesn't love the biscuits, am I right? I need to get my family over to our local restaurant before Lobsterfest swims out of here! It is a menu that adds sweet as well as attractive for couples.